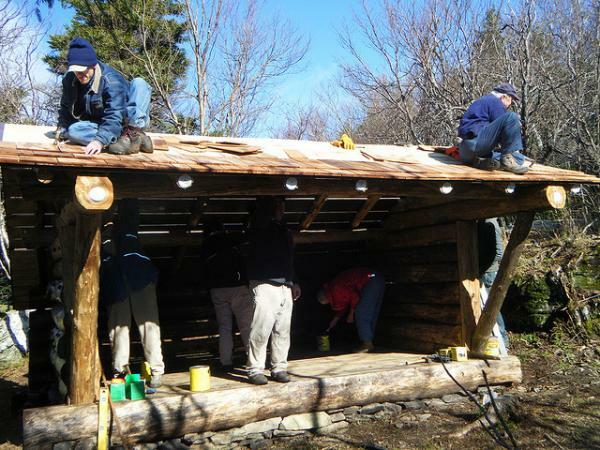 The NY/NJ Trail Conference recently built a new bridge at the Platte Clove Preserve in the Catskills for the Long Path. Click here to read more. Click here to find out you can help build over nine miles of the Long Path in the Catskills on Romer Mountain this summer. For a strenuous 5.6-mile loop hike, try the Shaupeneak Ridge Cooperative Recreation Area in the Shawangunk Mountains in Ulster County NY. Click here for details. Now that the weather is getting a little nicer, how about getting out in the sunshine and stretching your muscles? Maybe a weekend hike? According to one excellent mapping app for the iPhone and iPad, plenty of people in the New Jersey and New York area are already doing that. Mapping and cartography company Avenza has created a useful mapping app called Avenza PDF Maps. It’s available for free in the iTunes Store. While it provides maps for the whole world, maps it offers for the New Jersey/New York area have proven highly popular. The app offers its own map store where users can look for maps for their area (or for any area) then download free or paid maps. About a year ago, the New York-New Jersey Trail Conference uploaded several hiking maps, including maps for Bear Mountain, North Jersey, and East Hudson. They range in price from $3.99 to $5.99, and have proven to be a hit with Avenza app users. I spoke with people from Avenza, who told me that nine of the 20 most popular paid maps that it offers are for our area. I’m guessing that’s because, while there are plenty of hiking trails around here, it’s not always obvious where they are. Before getting away from the city, people need a little help. With this app and the right maps, anyone can enjoy a day of hiking. There’s a lot to like about the Avenza app. For one, it offers more than just hiking maps. I found apps for Hudson Country light rail, Central Park running paths, and Manhattan mass transit. Many useful maps are free, such as a geological survey of Jersey City. Also, helpful features in the app let you find your location, or create markers for places you’ve visited or want to visit. Whether you want to explore this area or a vacation destination, Avenza PDF Maps is a good companion to bring.